As a second-generation Okinawan-American who was made and has lived in Okinawa, the entrenched military including the Japanese Self-Defense forces expanding across neighbor islands isn’t new, as that’s been occurring since Japan overthrew the sovereign nation of Ryukyu, and continues to discriminate against Okinawans by concentrating two-thirds of U.S. forces in Japan into tiny Okinawa that comprises only 0.6 percent of Japan. 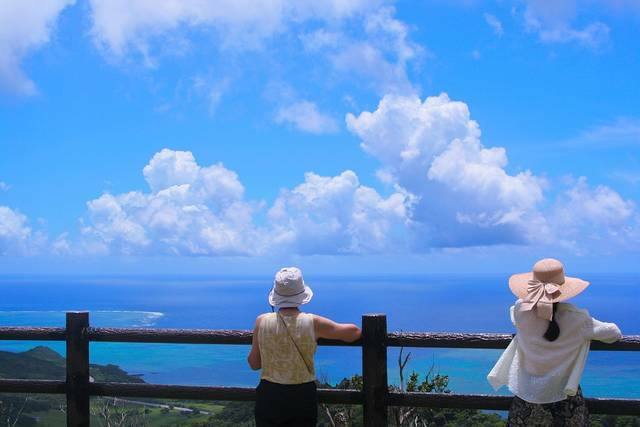 What amazed me aside from the persistence of Okinawans demanding human rights, democracy and mutual respect for decades, are the indifferent justifications by Japan and the U.S. — from political representatives to entire communities. During the delegation, U.S. military helicopters in separate incidents dropped materials onto a nursery school and an elementary school, injuring one student. My heart broke hearing the students’ fear, reminding me of the daily threat my family endures there. However, my biggest heartbreak comes from the continuity of indigenous minorities routinely sacrificed for the comfort of empires like the U.S., Japan, China, Russia, etc. Native Hawaiians have fared similarly with much military concentrated on crown lands intended for Hawaiians, let alone their nation. Imagine a bay like Hanauma or Waimea being filled with hundreds of tons of concrete, threatening the ecosystem for hundreds of endemic and endangered species — let alone the local economy and culture, due to Washington mandates to build yet another military base on islands already hosting disproportionate concentrations of military — that was met by widespread resistance from the governor all the way down to the grassroots, as is happening in Okinawa. Would Hawaii, or elsewhere, tolerate this upper-handedness? Or is it the case that people only care about their “own”: e.g., would the people of Hawaii better remember the Ehime Maru ship tragedy — in which a U.S. Navy sub joyriding to impress donors tore through the fishing ship and took the lives of Japanese students and staff — had it involved a local school rather than Japanese one? Personally, this isn’t about Okinawa, as it is about, Is this pono (right)? Identity has an important place — but not without complementary principled action. Consider: Hawaii Gov. David Ige may have an identity as an Okinawan-American, yet Ige’s office also killed 2016 resolutions in support of Okinawan’s struggle for self-determination in the state Senate and Honolulu City Council, despite supporting such resolutions as a representative. Should Ige have deferred to lobbying by Defense and Japanese government officials, or should he had been consistent with the values of constituents, and of Okinawa, such as “nuchi du takara,” that all life are treasures to be considered? The “clear zones” of Futenma Marine Air Station extend into Okinawan neighborhoods, schools, cultural sites, etc., endangering local lives and resources, not to mention that the land was seized by force. This is not security; this is special interest for a distant few. Even the framers of the U.S. Constitution included the 3rd Amendment condemning the hosting of foreign military — yet it has been a part of U.S foreign policy for over a century, from Hawaii to Iraq. We cannot change the past — but we do have kuleana for what continues in the present, so that such injustices do not perpetuate toleration into the future. Contact your representatives if you feel foreign bases aren’t right, as governments are deaf to colonies like Okinawa. Pete Shimazaki Doktor, a former Army medic and history teacher, is a co-founder of HOA (Hawaii Okinawa Alliance), and Veterans for Peace chapters in Hawaii and Okinawa.